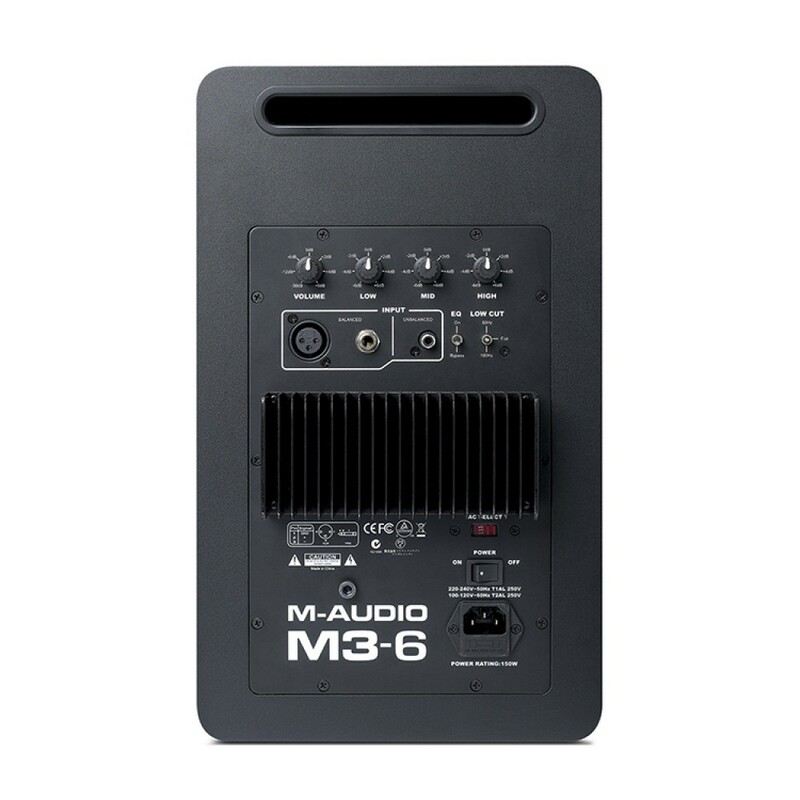 Let M-Audio's M3-8 active monitors add the outstanding sound and fidelity of a 3-way monitor to your studio. A 3-way monitor gives your room enhanced imaging, improved fidelity, and a large "sweet spot" to work with when laying down tracks and mixing. The tri-amped M3-8 monitors sport a 3-band EQ and low cut filter so you can tweak them for optimized playback in your studio. Call your Ragtime Sales Engineer and find out how the M-Audio M3-8 active studio monitors can improve your studio experience! You won't believe the full-range response of the M-Audio M3-8 active monitors. It's 3-way design is tri-amped with 160W of power for clear and accurate sound reproduction that also provides tons of headroom for even the loudest mixes. A built-in 3-band EQ lets you tweak the sound to compensate for room issues. The M3-8's efficient design delivers a 3-way system shoe-horned into the size of a traditional 2-way cabinet. A pair of precisely tuned crossovers delivers rich sound across the entire audio spectrum. 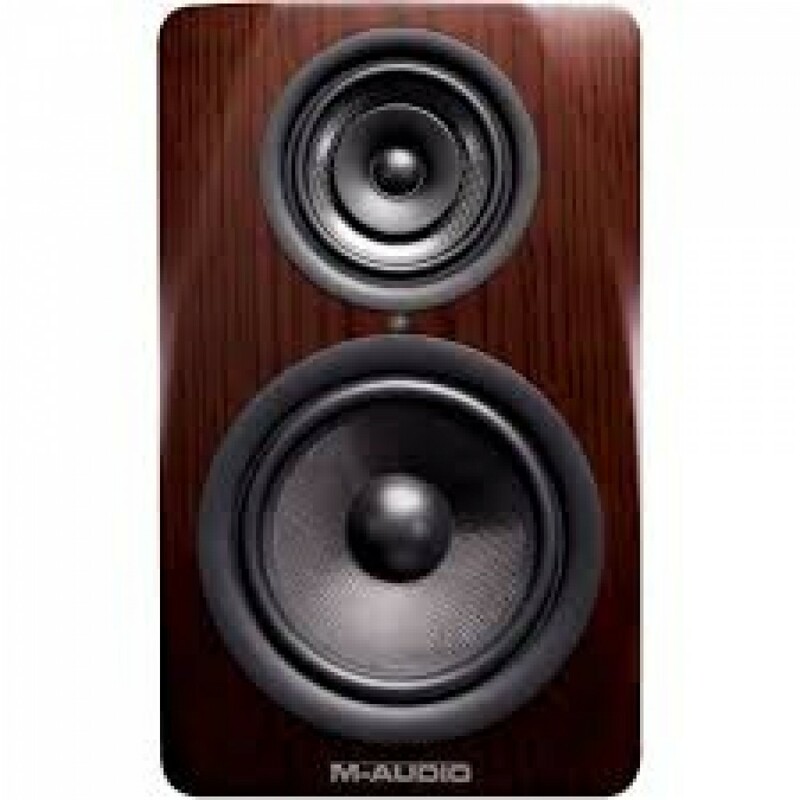 Using inline speaker design, M-Audio mounted the M3-8's mid- and high-frequency speakers together in a precise pattern. Because they are both on the same focal plane, they deliver an improved listening experience with proper time alignment and fatigue-free listening. All of this combines to give the M-Audio active monitors the superior playback and sound you need to make your mixes sound better. 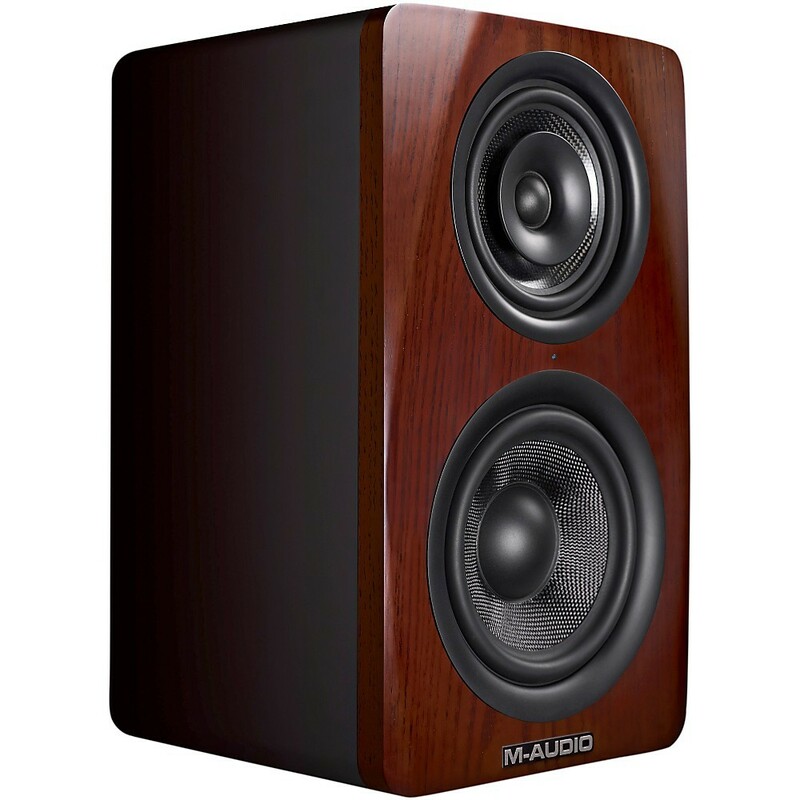 M-Audio's M3-8 3-way monitors feature M-Audio's latest generation of kevlar woofers. Kevlar is more rigid and lighter than comparable paper cones could ever hope to be. That means tighter bass and more accurate mids from the tri-amped M3-8 active studio monitors.